It is no secret that your exterior siding will ultimately be a victim of the same threat that it’s meant to fend off. Siding wears out, break, cracks and ages. The deterioration will cause it to leak and not perform as it’s designed and cause damage that has the potential to be costly. While siding replacement may not be on your to-do list, you may need one, nonetheless. 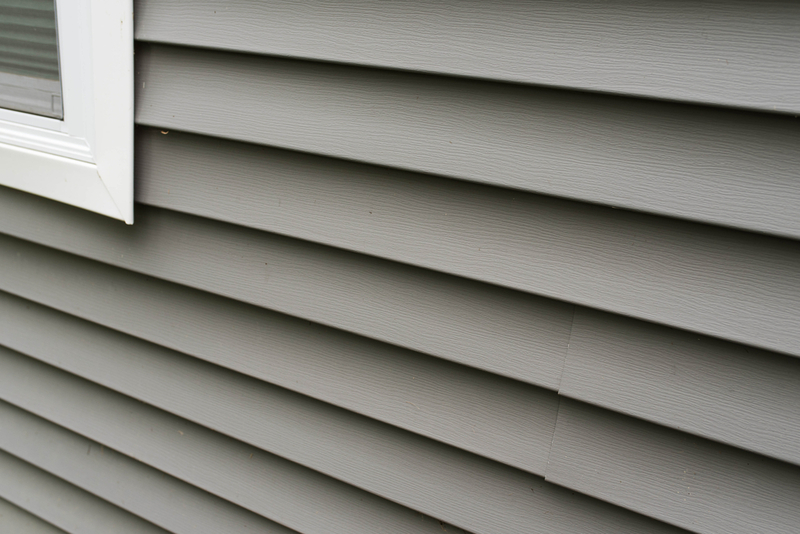 What are the signs that indicate that you need new siding? Here are some of the signs that you should look out for. When large sections of your home’s siding reveal signs of cracking or several pieces are loose, there might be a problem that requires professional work. Just one or two pieces of loose siding or cracked is no reason for immediate concern, and you may be able to remove and replace those pieces. It’s important to remember to assess the layers underneath broken or cracked siding for additional damage that needs to be addressed. Rot is a sign that your siding is no longer able to perform at an optimal level and protect your home. Rot can spread across the exterior, leaving you with only one choice-replacing the entire siding. You can use a screwdriver to tap on small areas of the siding to uncover weak spots that are experiencing dry rot that destroys the underlayer of your siding. Peeling paint or wallpaper may not jump out as a clear sign that you need new siding. However, this is an indicator of faulty siding, where moisture has seeped through and into your home and damage the interior walls. Moisture is a problem that you do not want in your home. Near the seams of your siding, in particular, you may notice fungus, mold or mildew. This is a sign that water has penetrated the siding and is trapped inside the wall and is slowly released and has the potential to cause any of the mentioned growths. These growths also tend to be on the shaded sections of siding that are typical to foster moisture. At his point, your siding is no longer doing its job. If you need a siding replacement, Doing It Right has you covered with guaranteed consistent workmanship and accountability and top quality service bar none. At Doing It Right, your project and satisfaction are priority number one. This entry was posted in siding, tips, Uncategorized on April 4, 2019 by admin. 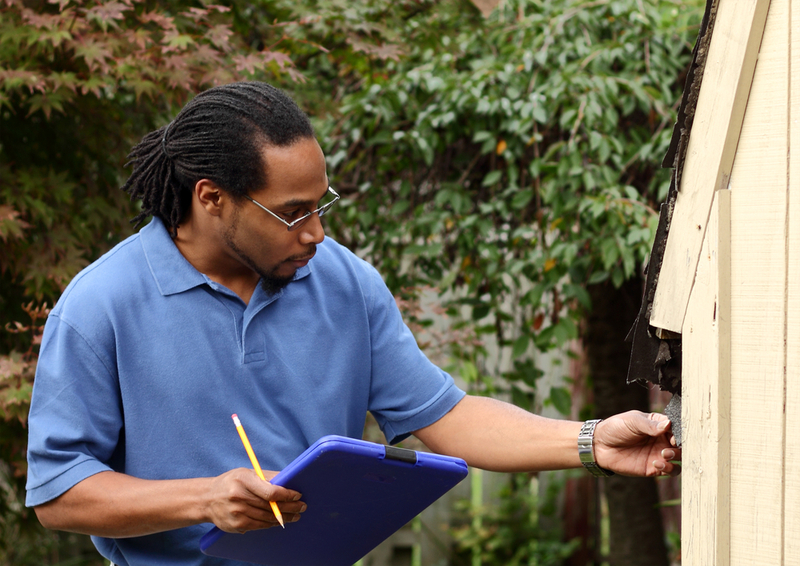 With spring knocking on our door, it’s time for homeowners to begin taking stock of their home’s exteriors and assessing what needs to be repaired. If you’ve been wondering what you should be looking for when maintaining your home this spring, take a look at our blog! One of the first things you should be checking on is your home’s gutters. They are likely to be full of debris and grime from the winter which will make it difficult for them to drain during those spring showers. In order to make sure your gutter system is working properly, ensure you examine your gutters at the start of the spring. Your roof could have accrued damage during the winter as well. Once all the snow has melted and you can easily examine it, take a look around to see if there are any cracked, broken, or warping shingles. If you notice any issues with your home’s shingles or roof, replace them as soon as possible to avoid any moisture damage in your home. Another problem area that homeowners should examine are their windows and doors. Ensure you check around the frame of your windows to find out if there are any air leaks. While you may be ventilating your home fairly often during the spring and summer, on those particularly hot days when you have the AC running you don’t want all that cold air escaping out the cracks in your window frames. Similarly, examine the frame of your doors, particularly the threshold, which could have worn away during the winter and contribute to air leakage. Check around your home’s exterior walls, particularly around the eaves of your home, or around your downspouts. Both of these areas are particularly susceptible to water damage, so you should examine for water spots that indicate your home has been exposed to water damage. Finally, be sure to take a look at your deck or patio, whether it’s made from natural wood or a composite look-a-like. Keeping your deck free of debris can help extend it’s lifespan no matter what material it’s made out of. If your deck is wooden, be sure to clean and re-finish it. If it’s a composite, be sure to follow the manufacturers directions for maintenance. Be sure to keep an eye out for any rot in your boards or rust in the nails and hardware to ensure your deck is in great shape for the warm months ahead! Are you in need of a new roof or siding for your home this spring? 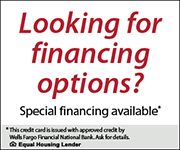 Reach out to our team today for more information. We can be contacted over the phone at (724) 351-0499 or by filling out our online contact form! We look forward to hearing from you and assisting with your exterior remodeling needs! Winter can be a tough time for roofs. During this season there tend to be more storms, harsher conditions, and extreme temperature changes, making it not only difficult for roofs to endure the season, but also makes it more difficult to fix problems once they arise. Here are 3 common roofing issues that tend to arise. Wind is a force that will catch onto any weak or loose points on your roof, making it a greater threat the older your roof gets. Even if your home’s roof is secure, it can force moisture underneath the shingles, causing problems that if left unchecked will become a greater issue later. Usually, commercial buildings tend to fair better in strong winds due to their flat surface. However, they are almost never completely flat, so there is still a chance for damage to the roof just like any other surface. In the case of particularly strong winds, roof surfaces can become damaged or cracked. Damaged flashing creates a seam for water to get under the surface of the roofing material, increasing the risk of leaks and water damage. Snow is often associated with snowball fights and beautiful winter landscapes, but it is also a headache for homeowners in charge of maintaining it. If not kept in check, it will accumulate over time, and eventually pose a danger for the roof and put building operations at risk. Different types of roof are built to handle different amounts of weight, but allowing larger amounts of snow to pile up on your roof will certainly affect it’s load-bearing capacity. A large roof can cause a great deal of stress to the roof, compressing the insulation of the building, or even potentially damaging the roof deck. When left unchecked, it can even lead to complete roof collapse. 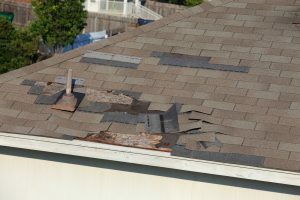 Some telltale signs of a roof exceeding maximum capacity include loud popping sounds coming from it, as well as sagging metal supports, warped wood, and any distortion with the structure in general. Temperature fluctuations tend to be more extreme during the winter. Days tend to be far warmer than the nights, and this repeated temperature change can lead to significant damage to a roof. Over time, your roof’s capacity to adjust to the temperature changes diminishes, and eventually these constant expansions and contractions can shorten the lifespan of the roof. This can reveal itself in the form of joints cracking, seams tearing loose and separated flashings, all of which can be difficult to fix. A worse case scenario would be a roof experiencing thermal shock, which worse case scenario would result in the material being split wide open. To avoid these, it’s important to have your roof inspected regularly and to replace your roof towards the end of its lifespan. If you need to schedule such activity for your roof, contact us at 724.351.0499, or submit an online inquiry form. We’d love to work with you! This entry was posted in Uncategorized on January 7, 2019 by admin. This 10 point checklist will help you to determine if it’s time for a new roof. If your asphalt shingle roof shows these signs, it should be evaluated by a professional roofing contractor. Call the roofing experts at Doing It Right Roofing, Siding, Remodeling LLC to get a professional evaluation of your roof and to determine if your problems are shingle, flashing, or weather related. Dislodged shingles or shingles that have been blown off the roof surface indicate that your roof’s asphalt shingle is losing its tar seal. When this happens asphalt shingles will become loose and have the tendency to flip up or off in even the lightest wind storms. Once the tar strip loses its seal not much can be done with the old shingle. Temporary tar sealing will work in the short term, but is not guaranteed to fix the problem permanently. Replacing the missing tab shingles is an option, but you need to be careful depending on the age of the roof. Mixing new asphalt shingles with much older, worn out asphalt shingles may cause other problems. Always consult an expert roofer like Doing It Right Roofing, Siding, Remodeling LLC before making costly repairs that may not work rather than getting a new roof. On a new roof, asphalt based shingles have a granular covering to protect the tar surface and give the shingle its attractive appearance. Over time, the granular surface of the asphalt shingle loosens and wears off. Once worn down to the asphalt base, the asphalt shingle will tend to dry out and crack exposing the underlying roof. Once the granular surface has worn from the asphalt shingle base, the shingles must be replaced. Curling is generally caused by poor ventilation or a dried out asphalt shingle base. Once this curling process starts, nothing can stop it. Eventually the curled pieces break off which may cause the roof to leak. When a roof reaches this stage it is important not to walk on it if possible. Walking on it will dislodge the curled pieces will make them break off from the asphalt shingle base. Many inexperienced roofers will attempt to inspect a roof with curled shingles. Before doing a full roof inspection, Doing It Right Roofing, Siding, Remodeling LLC will discuss any damage risk from walking on your roof. At this point the shingles have had it. They are cracked, bubbled looking, and, in most cases, dislodged from their seal and original roof placement. This is another instance where everyone should remain off the roofing surface in order to avoid further damage to your existing shingles. Under these conditions, Doing It Right Home Improvements would recommend a completely new roof. When I started in this business back in 1984, it was common practice to install an asphalt shingle roof over an existing asphalt shingle roof. The manufacturers at that time even provided directions on how to do this type of installation. That has all changed and no reputable roofer would even consider installing shingle on shingle roofing now. Doing so will void your shingle warranty. What the roofing manufactures found is that the first layer of shingles actually cooks the layer or layers of shingles installed over top of them. We can attest to that since we have found up to 5 layers of shingles on some roofs. This will decrease the life span of the new shingles installed thus costing the consumer thousands in the end. Always remove all shingle and other roofing products down to the wood deck surface before installing a new roof. The growth of brown or black algae on your asphalt shingles will not hurt your shingles’ performance. It doesn’t look very good, but it will not affect the shingle surface. After 30 years in business, Doing It Right Roofing, Siding, Remodeling LLC has never replaced a roof due to algae growth. Any replacement was either for appearance or because of condition of the underlying roofing material unrelated to algae. Removing the algae is optional and can be done using a bleach solution, however, bleach does remove granular as well and so we don’t recommend it. Most flashing products are made of aluminum, copper or tin. The latter being the most susceptible to water damage. Most flashing problems are repairable; however, don’t accept caulking as the fix all for your roof flashing problems. Most flashing problems are caused by incorrect installation or from the flashing being dislodge from its original place due to ice, water or wind. Caulking is used to “pretty up” the edges of the flashing and is primarily a mask. If flashings are incorrectly installed any leaks are usually caused by flashing issue and not the caulking job. I suggest a complete roof evaluation before you spend any amount of money on costly repairs. One of the main causes of roof buckling is poor roof ventilation. Most manufactures also site poor ventilation as the # 1 cause of premature shingle wear. When heat and moisture are trapped in an attic space, it causes severe damage to the roof truss system and the roof sheathing deck. Doing It Right Roofing, Siding, Remodeling LLC always performs an attic inspection prior to replacing any roof. We check for proper ventilation and recommend additional vents if required to prevent roof buckling on your new roof. About 75% of all asphalt shingle roofs that we replace each year have some sort of rotting or water damaged wood that the homeowners are not aware of. The professionals at Doing It Right Roofing, Siding, Remodeling LLC take pride in our ability to spot those areas even before the roof surface is removed. Finding the signs of water damaged areas is key in evaluating a roof. Low spots in the roof surfaces or funnel areas, sagging or out of place lines of site are just some of the determining factors in spotting damaged areas. We recommend measuring the damaged area and then doubling the replacement radius. Let’s face it. If you find a water mark on the ceiling of your home or in the soffit area off your roofing overhang you have a water infiltration problem. That does not necessarily mean you need an entirely new roof. Doing It Right Roofing, Siding, Remodeling LLC will make the necessary assessment of the water mark and determine if it is related to a shingle, flashing, gutter, or maybe a chimney problem. Most homeowners call a roofer for leaks that are usually not caused by what the homeowner originally believes to be the problem. Correctly diagnosing the problem and implementing a good solution could save the homeowner thousands in unwanted repairs and keep the remaining untouched areas from future damage. This entry was posted in Uncategorized on December 7, 2018 by admin. Choosing the Right Roofer is like choosing any other specialist, like the right dentist or doctor for your family, at least it should be. Would you take your children to a dentist that worked out of his basement? Would you recommend a doctor that worked out of his car? Okay, maybe it’s a little extreme to compare roofing to a medical practice, but it does get you thinking doesn’t it? Let’s face it; our homes are our most valued personal possession. We work long and hard to afford them. The last thing any of us need is a bad roof installation, with roofing that either needs repaired or replaced again in a few years. Although I am a contractor, like you I am also a consumer. I battle the same question and answer game as all of you when hiring people to help me. How long have you been in business and doing this? Do you have a license to perform this work? Will you work straight through until the job is complete? These are important questions and should be asked of any roofer you consider hiring. But there are other, more important questions that will let you know what type of roofer you are dealing with and what kind of roof you will get. How will this roof be installed? Answer: The answer should always be by manufacturers’ specifications. 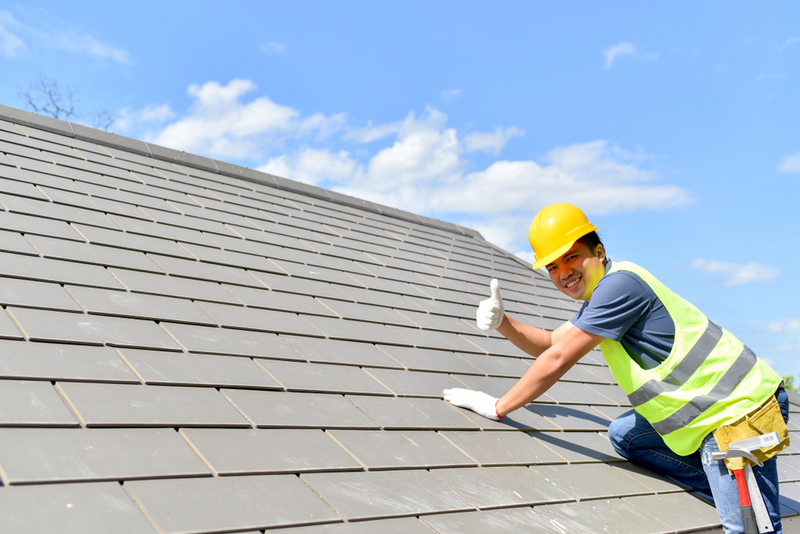 Installing roofing to the manufacturers’ specifications ensures that whatever is being installed will meet warranty & installation requirements giving you the upper hand in any warranty claims or installation failure disputes. Most important get that in writing in your contract. How will the ventilation of my attic space work and affect the roof performance? Answer: There will always be an intake at the gutter or roof end line and an outlet at the roof peak. This item is not open for negotiation. Without either item the warranty will be null and void, period! How will you handle the gutter end line where the roof edge meets the fascia board? Answer: We will install a roof to fascia apron or a roof to gutter apron at that end line. We have all dealt with ice dams and icicles over the past couple years in the Pittsburgh area. The leading cause of most ice dam leakage is that apron. Properly installing that apron will prevent the melting ice from backing into your living space like it tends to do here in Western PA. Unfortunately, we have no control over icicles. Now you know what to ask to make an informed decision when it comes time to have your roof replaced. Choosing the right roofing contractor can make the difference between a quality roofing job and more follow up work after the installation. Remember, sometimes it’s what’s under the roof that you don’t see that’s most important. Chat with a Contractor: Do You Need a New Roof? Weather will always impact your roof area and there is not much you can do about it. Nature is nature. We would always recommend if you anticipate weather affecting your roof more than not, look into purchasing higher quality roofing shingles and accessories. Doing It Right is committed to providing you with the highest quality materials for your project. Ask us about roofing shingle and accessory options. Your roof can be greatly impacted by the composition makeup of the roof product. Each manufacturer has their own way of producing their product. Some use less asphalt and more fiberglass. Some add different agents to their product — some do not. Natural coverings such as slate and tile will undoubtedly last longer, but also cost much more to purchase and have installed. It’s important to know what you might have in place and what you will get if you have a new roof installed. Ask us to explain the differences. Original installation could be the difference between getting 2 or 10 extra years out of your existing roof. Technology and the way installations are viewed these days have changed over the past 20 years. Just because it worked then doesn’t mean it’s going to work the same way today. Warranties have changed and the demands to install a roof correctly have become that much more important. Doing It Right believes in continued education for our installers to ensure a proper install of your project. Ask us how a new roof should be put on correctly to meet the current warranty guidelines. Through advanced research manufacturers have determined that air flow restrictions not only make the roof shingle perform inadequately, it also affected the life expectancy of the shingle. I remember 30 to 35 years ago when my old bosses used to say, “Make sure you seal that up good and pack the insulation in tightly at the gutter end lines and ceiling areas.” Little did I know at that time that I was causing a stir in the roofing industry and how it is looked at today. Ask us about your house air flow and how it affects your shingle life and performance. There’s not much you can do to additionally maintain your roof like adding coatings or spray-on applications. We do not recommend any coatings even if it was something that is available. Make sure your gutters are flowing properly and cleaned regularly. Clear the roof surface from debris. A yearly maintenance plan with a qualified roofing contractor, not a handyman, would benefit you to identify problems before they cause major damage. Talk to us about the different types of maintenance plans available. When you start the process of looking for a qualified roofing contractor to provide you with a roof replacement quote you should consider the following before making your final decision. Sure the obvious comes to mind (insured, cost, etc. ), but here are some additional things that should be looked at and considered. Please take a moment and review the list for your own benefit. Keep it for reference when making that final decision. Is the company that I am getting the quote from a true roofing contractor or something other? “Roofing” in the company name would lead you in the right direction. Are their installers roofing installers, not siding guys or carpenters? There’s a difference. Does the contractor have an established address that he does business out of in case you need to find them? Does the contractor have an e-mail address or an alternate phone number so you can contact him through a variety of different options to fit your needs? Was the estimate you received detailed? Stating, “Remove shingles and install new ones,” doesn’t cut it. Get all the details involved in a new roof replacement. Get everything in writing. Never, and I mean never give money down on a job. You are not helping the contractor you are hurting yourself. Those not capable of handling financial aspects of installations could ultimately cause you problems with your installation. Never pay before a job is completed. Paying prior to completion is OK only if you have done something to delay the project yourself. Always get some kind of labor warranty and I don’t mean a year or two. Quality contractors who do a project correctly give at least a 10-year warranty on labor. Always get the installation done per manufacturer’s specifications. When you don’t, you shortchange yourself. Your contractor should do the job the way it’s intended to be done. Last but not least, question your contractor, be involved, but let your contractor do his job. Have faith before you hire them. Do not let price dictate your decision completely. This normally leads to an installation with problems. At Doing It Right we are committed to following industry best practices and providing you with complete and accurate information. Chat with a Contractor: What Did He Find? What Did the Contractor Find During My Roof Replacement Quote That Might Affect My New Roof Installation? The last thing any of us would want is a service professional providing us with a quote and finding a bunch of issues or problems that we were not prepared to address or spend money on. However, allowing yourself to be convinced by those who are just looking to do the minimum and cover over issues which will cost you thousands later is insane. Take it from me, we see this every day when we do our initial inspection for homeowners and provide them with a bid. Here are some tips that will help you make sound decisions and point you in the right direction when they are presented to you. Get explanations on problem areas that you know of or don’t know of. Missing shingle areas, existing leaks, etc. may be damaged beyond what is seen. If you are shopping for a new roof expect to have some issues pointed out. You must realize you may have a problem sooner than later. So what are they? Get answers. Sometimes it’s just not the roof. It could be the chimney, siding, gutters, etc. that’s actually causing the problem. Distinguish those problems so that the same problem does not exist once the new roof has been installed. Unlike duct tape, caulking does not fix everything. Caulking is designed to make things look pretty and “aid” in the performance of the installation, not be the determining factor. Having caulking issues pointed out could be the difference between a new roof now and a new roof 5 years from now. Knowing what the real problems are vs. letting someone tell you what you want to hear will be the difference in getting a project installed the correct way. The good roofing contractors will let you know what needs done to do the job the right way. The bad ones will try and convince that you just need what they want to do. In most cases that’s just pound shingles on your roof. In our last blog we touched on the premise that roof shingles rarely are the problem when roof leaks develop. Feeling that we did not provide a complete list, we wanted to finish our thoughts on that. Here are some other situations that should be looked at before you blame your roof leak on the shingles. If not routinely cleaned and maintained, they can cause serious problems and allow water infiltration when you least expect it. Back up or overflow issues may penetrate through fascia boards or into window head areas. Having the proper apron system installed would alleviate a lot of these issues as well as a good cleaning each year. New ridge vent technology is pretty sound with shingle caps being installed over top of them. Old style ridge vents, because of design and age, cause more problems due to wear and tear than anything. Something a lot of roofing contractors do not take into consideration when installing ridge vent cap is the direction that the weather comes from. You should always install your cap shingles away from the weather so that the open end is opposite the driven weather. Back in the day, siding manufacturers’ accessories were not much bigger than your average ¾ inch fascia. Not many issues could be pointed to what I am about to tell you. Today’s sidings and accessories used to usually extend past the average fascia board, leaving a lip above the J channel and can allow water to infiltrate. In this case, bigger is not always better and can present a problem. Do you have an AC unit located in your attic? Is there duct work or exhaust fan piping running across the attic floor? These are just a couple of things that we have run across over the years. AC units and condensation speak for themselves. Duct work or piping can also create a condensation pool that will leak out of the pipe, through the insulation and into your living area. You might want to consider a routine inspection or an overview of a qualified individual or company to get an honest and fair assessment of what might be at risk there. 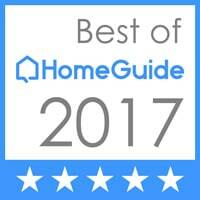 As a homeowner, home maintenance likely takes up a lot of your time, as housekeeping and yard trimming tend to be pretty time-consuming chores. Luckily, siding by nature is durable and doesn’t require that much upkeep. That being said, a little TLC here and there to preserve the longevity of your siding never hurts. Here are some ways to maintain your siding, in accordance with its material. 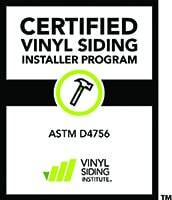 Vinyl siding is strong enough to the point where it is meant to be left alone, but it is still good to check to make sure that the siding is tightly secured, as even a little bit of looseness can spell trouble for the integrity of the siding. It also helps to give your siding a good power wash either before or after summer, as insects and dirt tend to cling to it during the summer months. Keeping the surface clean will give your home that fresh, newly installed appearance that will make you feel like you just installed them. Wood is more sensitive to the elements, and therefore requires treatment every 4 to 6 years, depending on the rigorousness of the climate of your area. Again, a decent pressure wash can do wonders for your home, and will keep away any dirt and insects that would infect and degrade the siding. Fiber cement is one of the strongest and low maintenance siding materials out there, especially the ones that we work with from James Hardie. That being said, low maintenance doesn’t mean no maintenance, and there are still a couple things you can do to keep your siding in the best shape possible. One of them would be to inspect the caulking holding the siding in place around once a year. Check for any cracks and openings that would let moisture inside and risk warping and mold. And just like the previous ones, a solid pressure wash will only help even more. Last but not least we have PVC trim. Again very low maintenance and again will benefit from a pressure wash, a more unique factor is that PVC tends to be more sensitive to temperature, and will expand/contract in accordance to temperature changes. If not sealed correctly the sealant can crack as it fails to expand along with the trim, leaving gaps for insects and debris. Check to make sure that all of your surfaces are sealed tight. Overall, siding is resistant and low maintenance, but when it comes to what is essentially shielding for your home, it’s never a bad idea to make sure that everything is in tip-top shape. 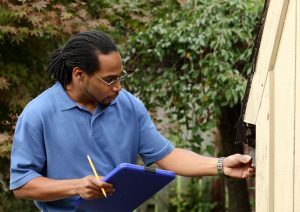 If you are still unsure about the state of your siding, and/or have questions on maintenance, reach out to us over at Doing It Right to schedule an inspection. We have experienced contractors who are experts in siding, and will know exactly what will be the best course of action for you.